“Tower of the Year” honors went to Vessel Assist Ventura, which is owned and operated by Capt. Paul Amaral, a Ventura County resident. Vessel Assist Ventura, based at Ventura Harbor Marina & Yacht Yard with a second location in Oxnard, was recognized at the Jan. 18 conference for its near-perfect 24-hour towing dispatch operation, superior customer service and satisfaction, ongoing towing case management and its work in the local boating community. Ventura Port District officials and many in the Ventura County boating community consider Vessel Assist Ventura to be a tremendous asset to Ventura Harbor, where Vessel Assist Ventura has been based since 2003. Ventura Harbor is home to four marinas and hundreds of recreational boaters who are out in the ocean every day and can feel safe knowing Vessel Assist is there to help them if they ever need it. “Capt. 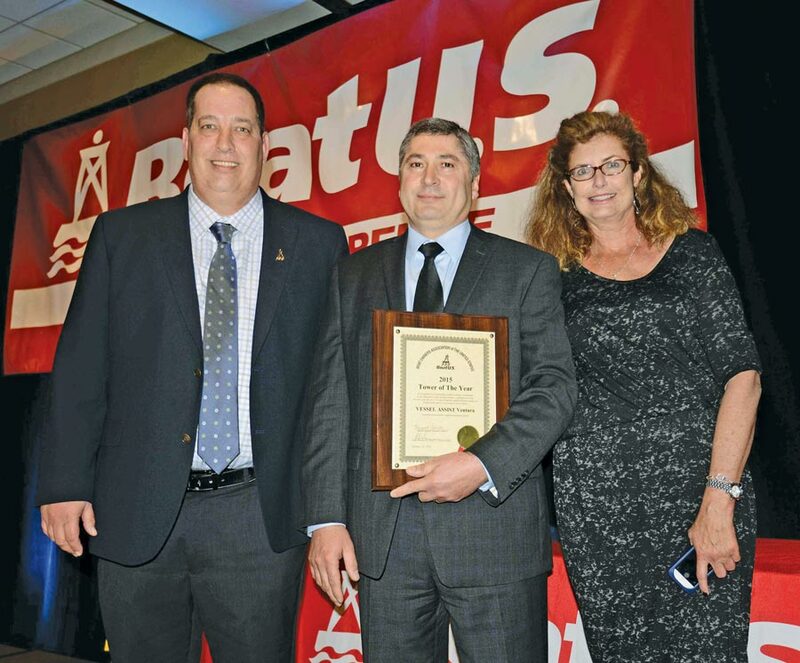 Amaral earned consistently high marks for his positive working relationships with local government, the boating community and our headquarters staff, all of which directly benefit our members,” said BoatUS Vice President and Director of Towing Services Adam Wheeler.